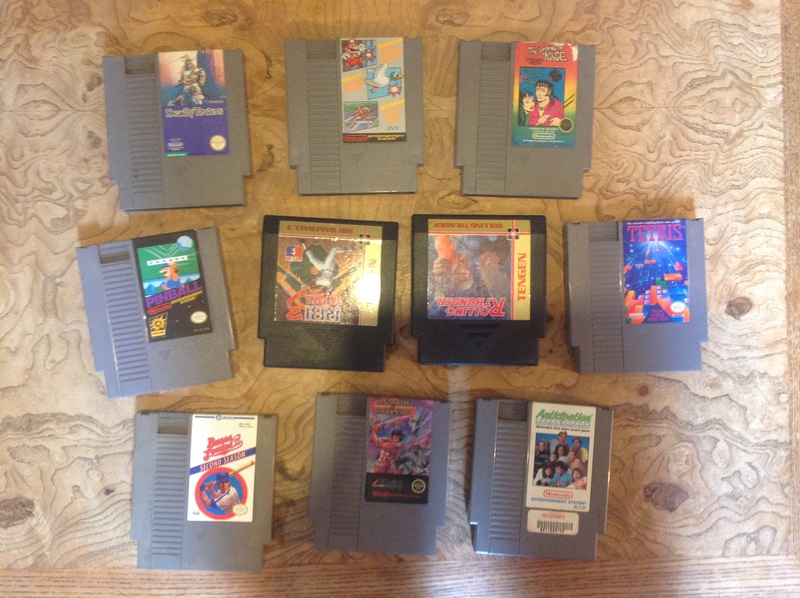 Various Games and Systems, Vectrex, C64, PS2, NES.. I have a pile of stuff for sale. I'd love to sell it all at once and in person, but not having an easy time locally. 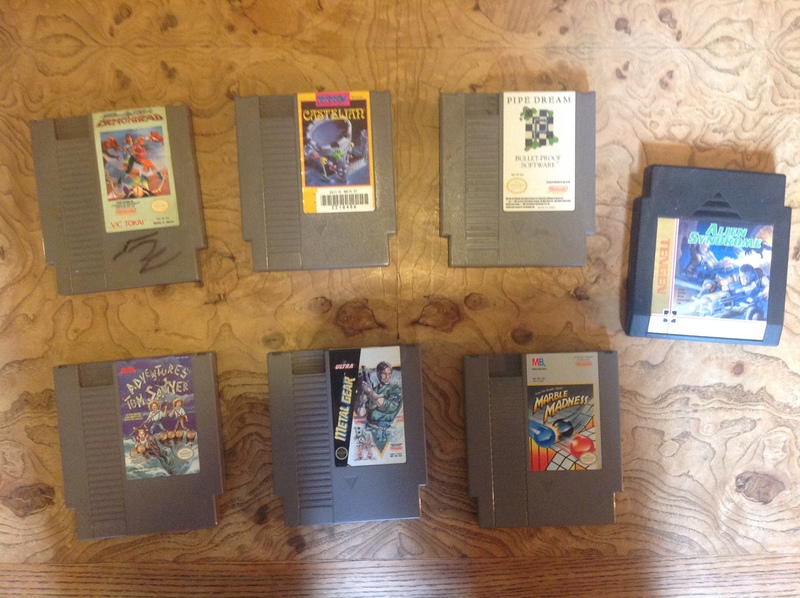 Sold or no longer available items in the pictures: NES console, all Super Famicom items, Rad Gravity NES game, Dark Tower Vectrex game. Again I'd love to sell all of this at once in person as a lot for a decent price. The three Vectrexes are all in need of repair. Moderately off center one is poor cosmetic condition, rough cartridge slot I hesitate to insert valuable cartridges in, but works. Way off center one is average cosmetic condition in general but missing the brightness knob. The other has no picture and no sound but is in good cosmetic condition and makes a crackling noise when the power is switched on. One of the controllers has slightly bent thumbstick. One Vectrex is missing a rubber foot. 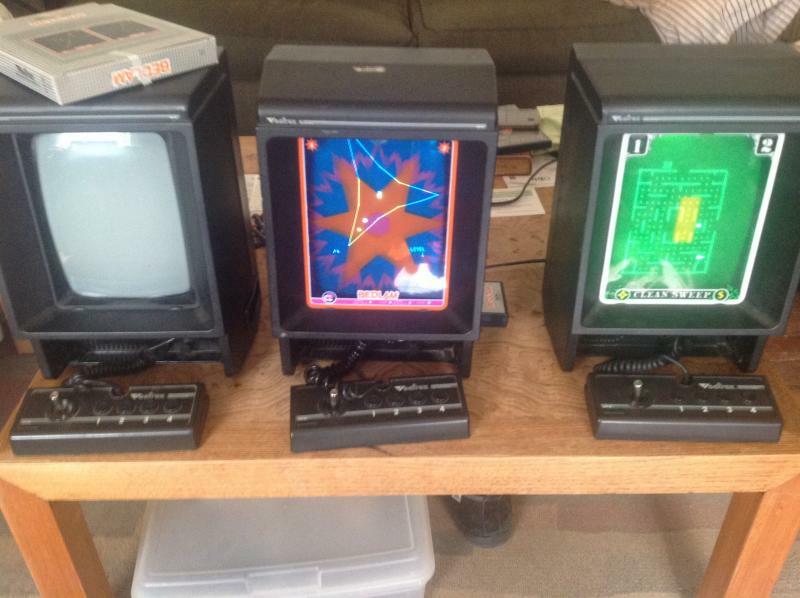 I am considering doing the loose GCE Vectrex stuff differently. Shown here is about half of my spares but am considering instead keeping the spares and selling my full set. 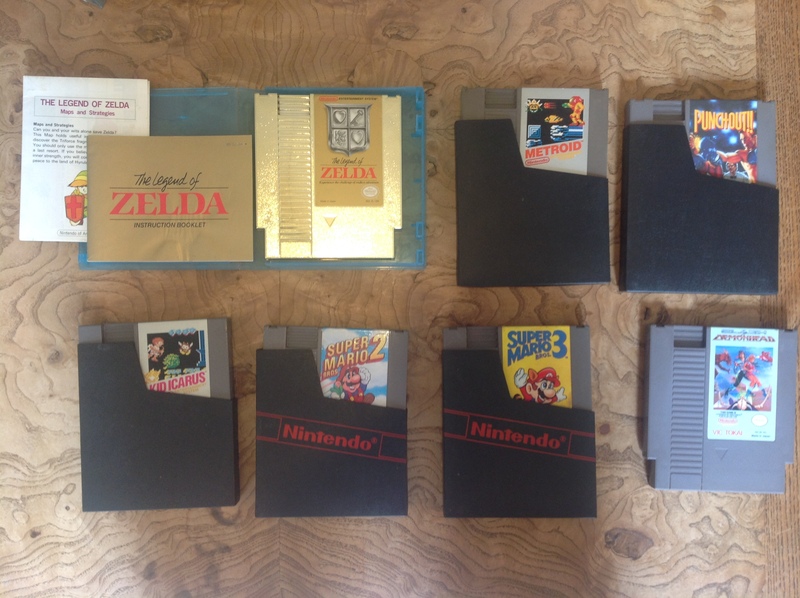 I have every U.S. overlay in good to excellent condition, and every non-3D U.S. cartridge and manual. There are four nice condition CIB vintage Vectrex games, RipOff, Spinball, Berzerk, Bedlam. 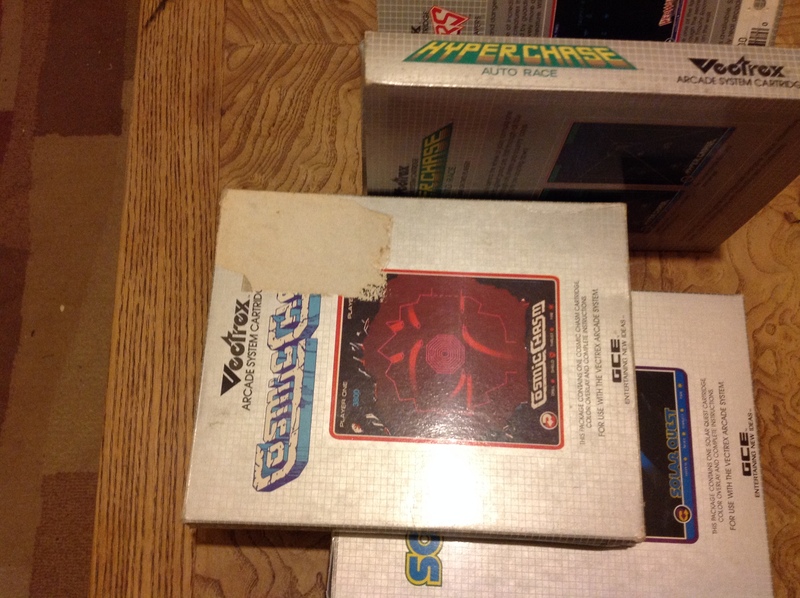 The other vintage Vectrex boxes are empty. I'm not sure about the stack of classicgamecreations games. They are all top condition and include some great games but I don't want to "ruin our hobby". I was lucky to get this batch at the very end of production. Three limited Fury games are Zantis, Sundance and Continuum. The other is Sectis I decided not to sell. Other Vectrex that I may make available is a light pen, either original or Recycled Gamer, a broken disassembled control panel, unassembled analog DIY joystick kit..
Rando box has broken-for-parts NES and Odyssey 2, untested PS2 controllers, Atari iPad joystick and other incomplete, broken or low value odds and ends. PS2 slim has significant cosmetic damage but works. Includes great condition green controller and small but great game lineup, Ico, Shadow of the Colossus, Sega collection, Capcom collection, Dragon Ball Z Budokai 3, Marvel Ultimate Alliance, two memory cards with many things unlocked including all Colossus hard mode bonus items, arcade versions of Sega vectors Tac Scan and Zektor..
Commodore 64 takes 20 minutes to power on. I haven't used it much but tested it two days ago and timed the warm up period. I have no idea the issue, if this is common or chronic or what. Disk drive and cassette drive are not tested. Edited by gliptitude, Fri Mar 15, 2019 4:07 PM. I'm interested in those empty vintage Vectrex boxes if any are for the 3D games, and also that "Galaxy H" tabletop unit that looks really cool. 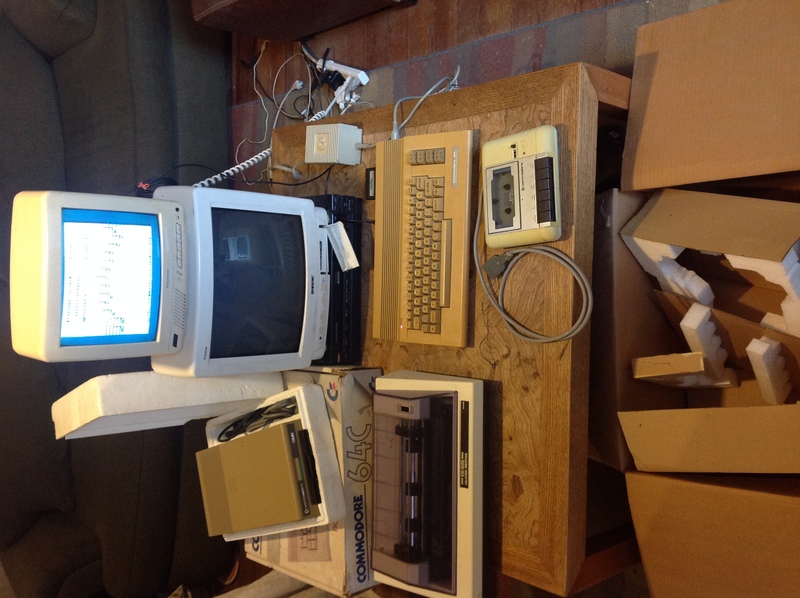 I'm interested in the C64, tape, and disk drive. Did you have a price in mind? I would very much like the dark tower game if possible. Maybe some of the others? Hard to see all the titles in the pic. 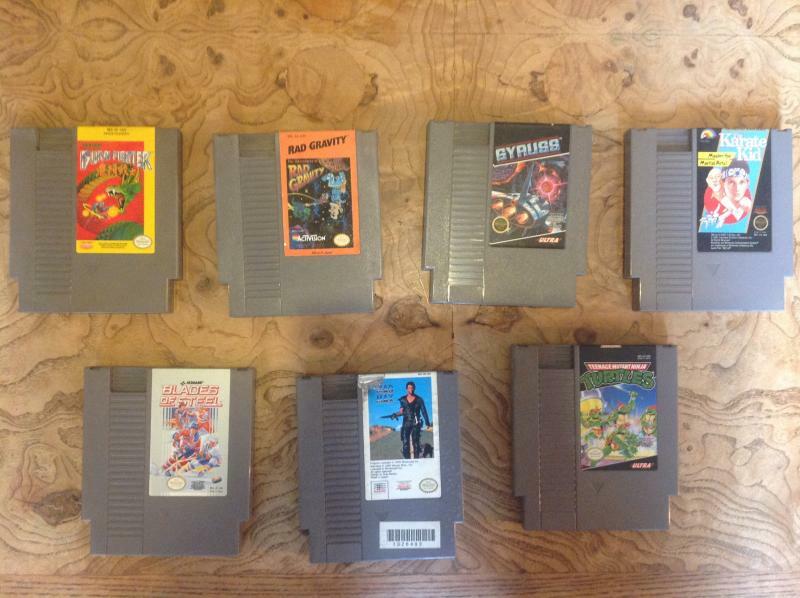 I could also use the rad gravity nes cart. I also would be interested in the galaxy handheld if blazing doesn't take it. 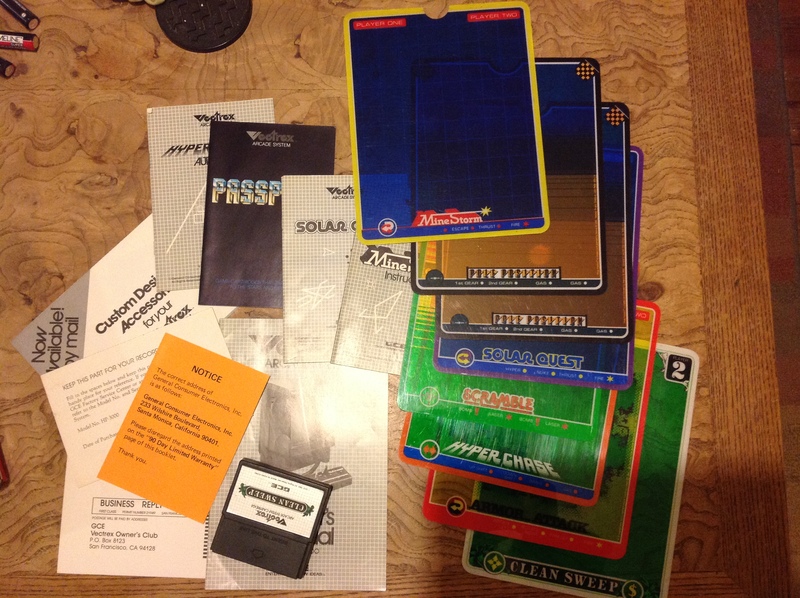 I also would have some interest in some of the vectrex paperwork if you sell it separate. Edited by stupus, Fri Mar 15, 2019 1:00 PM. 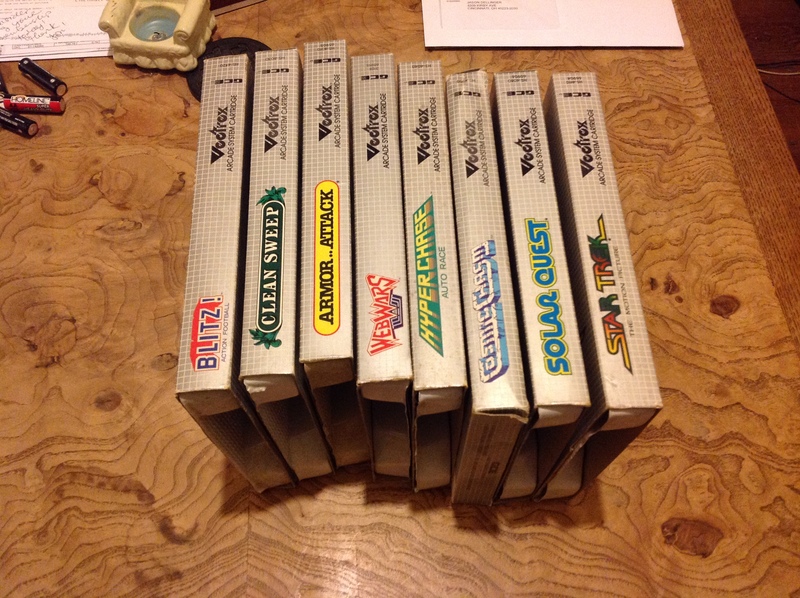 I added pictures of the Vectrex boxes, which do not include any 3D games. All but Cosmic Chasm has the top flap cut off but Cosmic Chasm has a tear on the front. Galaxy II has no sound but works otherwise. I think it would be repairable because it used to work and I think just broke a solder joint. 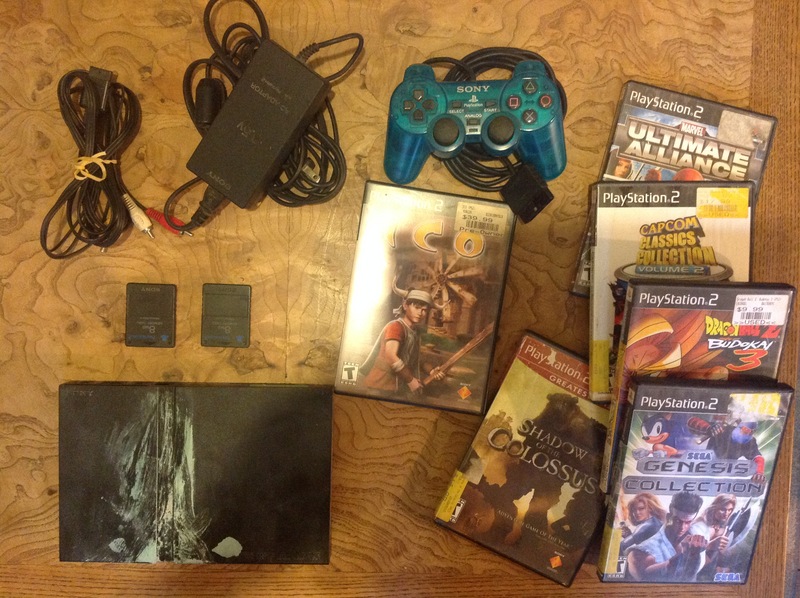 Price for these items is $700 and includes everything else in the pictures except the NES console and SFC stuff. For an extra $100 I will deliver withing 200 miles of Ohio. 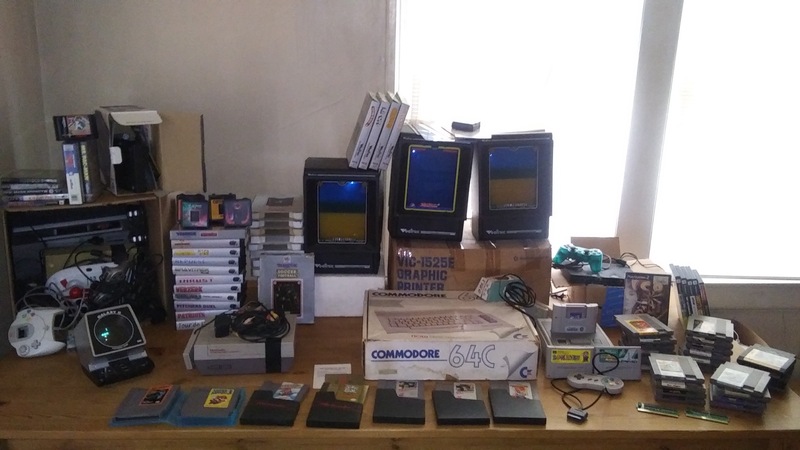 .. All Vectrex items are sold. They left my house in two boxes minutes ago. .. I am starting to hyperventilate.. might spend all this money tonight in an effort to forget and cope .. I love you Vectrex. How could I do this? Who am I? What am I doing?